NAPLES — Nancy Rabalais didn’t need any fancy testing equipment to know something was wrong in the waters of the northern Gulf of Mexico. 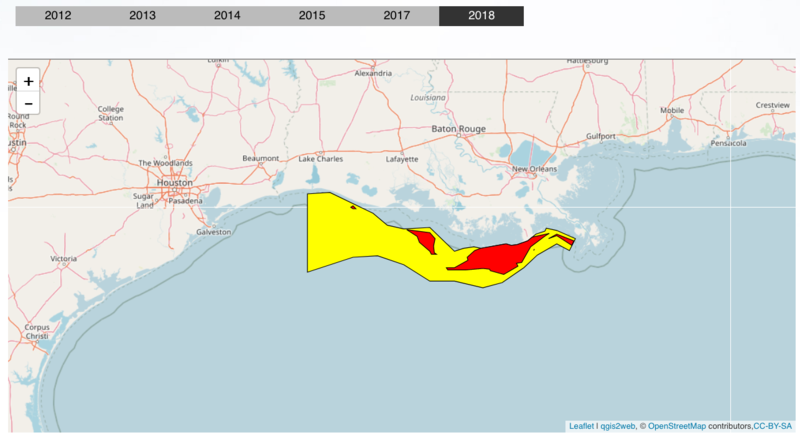 Researchers mapped a 3,000-square-mile dead zone off the Louisiana coast last week, smaller than had been forecasted but more severe than in some past years. 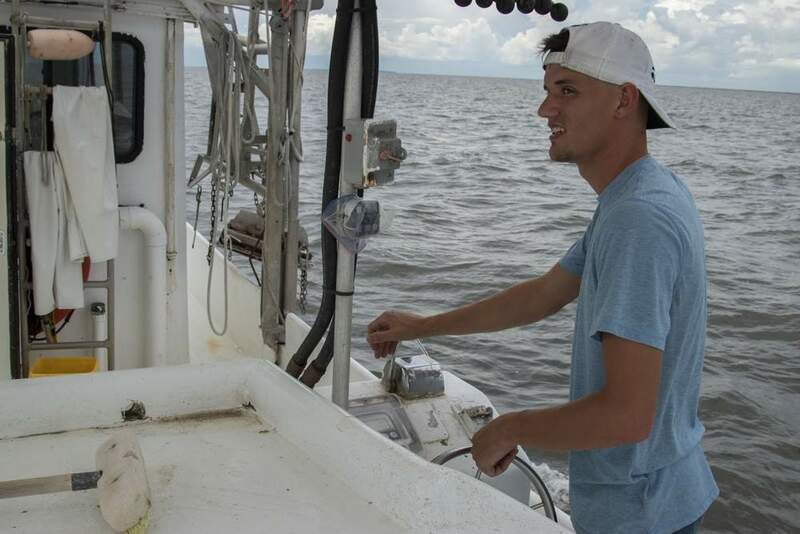 All Rabalais had to do was look overboard from the deck of the research boat “Pelican” at the bottom-dwelling marine creatures — eels, crabs, even brown shrimp — swimming at the surface to escape the dead zone below. “Any self-respecting fish probably would have picked them off by then,” the chief scientist for the dead zone expedition and director of the Louisiana Universities Marine Consortium said. Most of the fish probably swam out of the oxygen-depleted waters too, chased off by a biological chain reaction that starts on land, Rabalais said. The dead zone forms when runoff, mostly from farms in middle America, flows down the Mississippi and Atchafalaya rivers. Just as fertilizer grows crops, nitrogen and phosphorus in the runoff trigger blooms of algae that are necessary to support the Gulf food chain. When there’s too many nutrients, there’s too much algae. It goes unused, sinks to the bottom and decays, sucking oxygen out of the water. 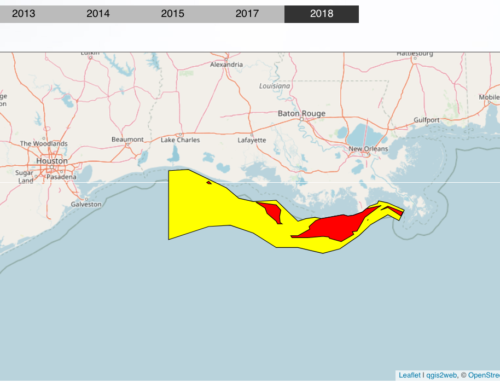 The dead zone threatens Gulf fisheries that generate $2.8 billion annually, according to figures from the National Oceanic and Atmospheric Administration. The Obama administration is taking notice, NOAA Administrator Jane Lubchenco said Monday. “This is an issue we take seriously, and we’re committed to bringing faster and more effective solutions to the problem,” she said. In June 2008, a state-federal task force set a goal of reducing the dead zone to a five-year average of 2,000 square miles by 2015. 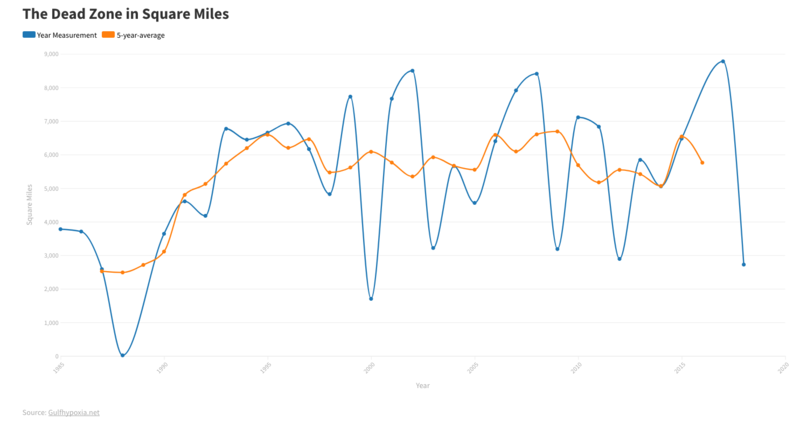 At 3,000 square miles this year, the dead zone’s five-year average still is about 6,000 square miles, according to NOAA. 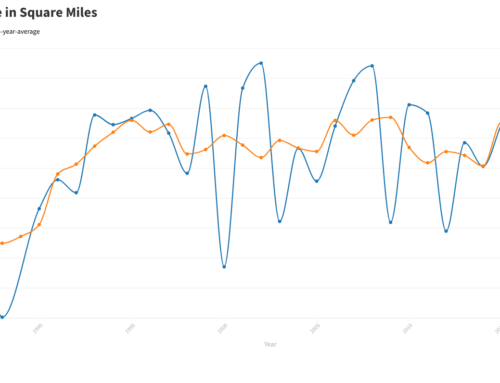 “This was just a little blip on the long-term data we have,” Rabalais said. Last year, the dead zone measured almost 8,000 square miles; the dead zone set a record in 2002 at 8,800 square miles. Using nitrate levels and river flows from spring, forecasters had predicted that this year’s dead zone would measure between 7,450 square miles and 8,456 square miles. 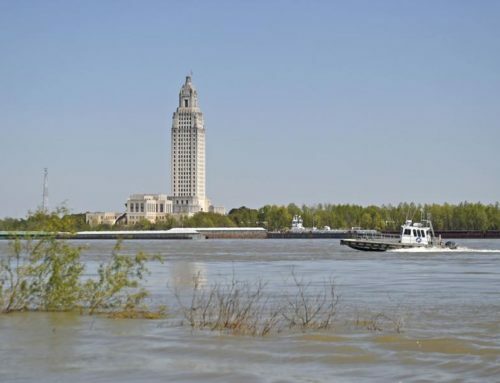 Rabalais, the chief scientist on the mapping expedition, said high winds and waves west of the Atchafalaya River before the research cruise helped mix the water and boost oxygen levels. That pattern pushed the dead zone eastward, where researchers measured areas of low oxygen deeper and more severe than in some past years. 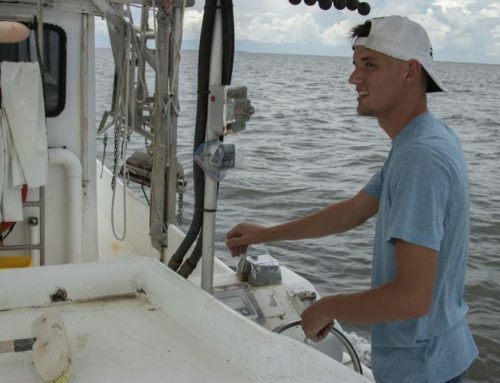 Oxygen levels were measured at less than .5 parts per million; waters in the northern Gulf qualify as a dead zone at 2 parts per million of oxygen, Rabalais said. 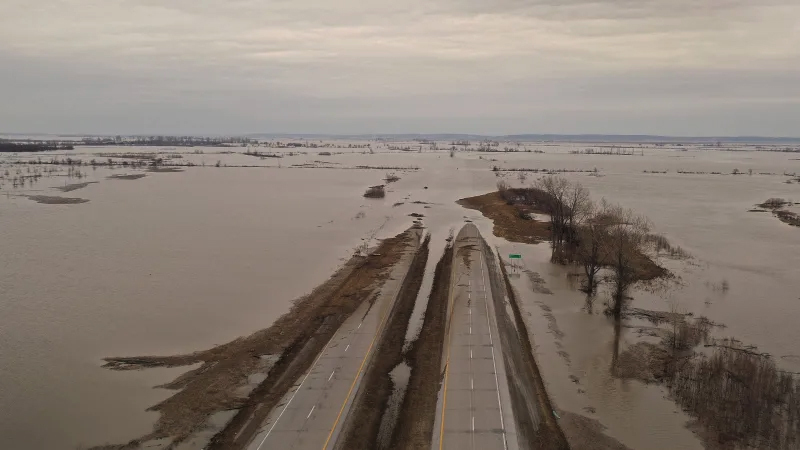 To cut the dead zone down to size, the state-federal task force said in its June report that nitrogen and phosphorus levels have to be cut by 45 percent in the Mississippi River basin that covers 40 percent of the continental United States. Reaching that goal puts people like Iowa farmer Jim Andrew on the front lines. Andrew, who grows soybeans and corn on 1,350 acres west of Ames, said he has cut his nitrogen use by 50 pounds per acre without sacrificing his crop yields. “I’m not a rabid environmentalist, but I can also see kind of common-sense wise,” he said. 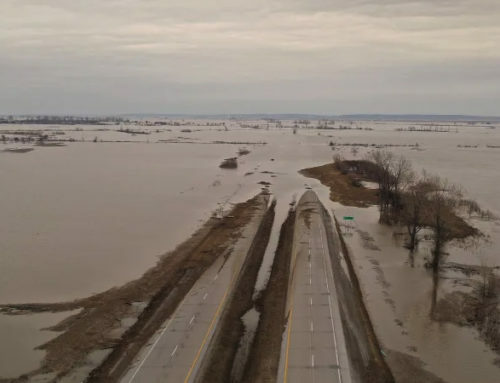 He said many farmers aren’t sold on the connection between what they do in their fields and what happens hundreds of miles downstream. Convincing them to switch to better conservation practices often means changing mind sets about farming they have held for generations, Andrew said. Some government programs are starting to make headway, Lubchenco, the NOAA administrator, said. She pointed to the Iowa Conservation Reserve and Enhancement Program as a success story. The program pays landowners to create wetlands to soak up nitrogen from farm fields before it reaches streams and rivers. Iowa State University researchers have found these wetlands can remove 40 to 90 percent of nitrates and more than 90 percent of herbicides from agricultural watersheds. Iowa’s Department of Agriculture has asked for $31 million in federal money to expand the concept to larger-scale demonstration projects, agriculture department spokesman Dustin VandeHoef said. The state-federal dead zone task force is set to meet in September in Iowa with some “key game-changing programs” on the agenda, said Suzanne Schwartz, acting director of the Office of Wetlands, Oceans and Watersheds at the Environmental Protection Agency. She wouldn’t be specific, saying options still are under development. “We know we have to begin to act,” she said. Follow environment reporter Eric Staats at twitter.com/ndn_estaats.